Point2 Homes gives you far more than a simple list of houses for sale. Get instant access to a lot of relevant information about St. Catharines, ON real estate, including property descriptions, virtual tours, maps and photos. The search results pages also have a wealth of information on St. Catharines, ON, if you scroll all the way down. There are 348 houses for sale in St. Catharines, ON. 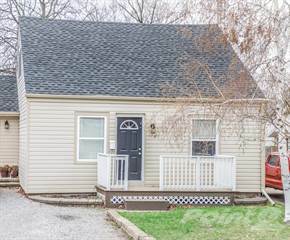 Searching homes for sale in St. Catharines, ON has never been more convenient. 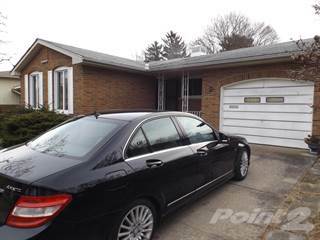 With Point2 Homes, you can easily browse through St. Catharines, ON single family homes for sale, townhomes, condos and commercial properties, and quickly get a general perspective of the real estate prices. Also, you’ll never miss a bargain if you filter listings based on house price drops in the past six months. Use the map view to find St. Catharines, ON homes and apartments for sale, based on amenities or city features that you may want close by. You can close in on a specific neighbourhood or area by simply drawing around them with the polygon or radius tools. Stay informed about the latest entries on the real estate market by saving your searches. This way, you get new listings in your inbox, daily or every week, based on your preferences. If you’d like to get in touch with a professional, agents are displayed next to their listings, and they’re easy to contact through the online forms. If you want more options, you can click the Tools tab and Find an Agent, and you’ll get a list of helpful and knowledgeable real estate agents in St. Catharines, ON. Visit the Point2 Homes blog and you can find up to date expert advice on many markets throughout Canada, regular market reports, neighbourhood scoops in cities throughout the provinces, real estate deals and useful recommendations. St. Catharines is the sixth largest urban area in Ontario and has a population of around 131,000 with an area of 37 square miles. The largest city in the Niagara Region, St. Catharines is located 32 miles south of Toronto across Lake Ontario, and around 12 miles from the U.S. border which sits along the Niagara River. St. Catharines is also referred to as "The Garden City" due to its lush greenery throughout the city, comprising of parks, gardens, and trails. Located between the Greater Toronto Area and Fort Erie by the U.S. border, the city is conveniently situated for trade and commerce, with the manufacturing industry dominating the market. Telecommunications is also a huge industry and provides a number of jobs in the city. Employment levels are around 60%, with the District School Board of Niagara and General Motors being huge providers of jobs. Roughly 81% of the population speak English only which has increased dramatically over the past few years. Only 3% of the population report to speak French only, and other mother tongue languages include Italian, German, and Spanish. Christianity is the dominant religion with around 80% of the population professing Christian faith, which comprises primarily of Protestant and Roman Catholics. St. Catharines has a humid continental climate as well as its own micro-climate due to its positioning close to Lake Erie and Lake Ontario. Temperatures in summer hit mid to high-20s with high humidity levels, and winters see cold conditions and snow. However, the city also experiences a large number of frost-free days and regularly thaws out in winter, which allows wineries to flourish. St. Catharines has a number of arts and culture attractions, including Rodman Hall which runs exhibits throughout the year, The Niagara Artists’ Centre, the St. Catharine’s Museum, as well as various theatre productions. The city also hosts popular events such as the Folks Art Festival which runs every year, the SCENE Music Festival, and the Niagara Grape and Wine Festival. The city’s largest mall is The Pen Centre, located south of St. Catharines, and there are a number of quaint and independent stores in the area. Niagara Falls is also a very popular tourist attraction, located just a 20-minute drive from the city. There are a number of prominent neighbourhoods in St. Catharine, each of which offers a range of housing options. The financial centre of the Niagara Region, St. Catharines’ Downtown area, has a variety of restaurants, bars, and student residences. The area features a number of heritage properties due to its impressive history, and there has been a huge investment in infrastructure over the past few years. The neighbourhood is experiencing a low vacancy rate but is still popular among students of Brock University and Niagara College. With a mix of modern development, agricultural land, and historic zones, West St. Catharines is one of the city’s fastest growing areas. The neighbourhood is fairly sought after and features a mix of condominiums, townhouses, and single-detached properties. Often referred to as the “heart” of St. Catharines, Merritton is a distinct community with a strong system of community organisations that oversee various events in the city. The area is also experiencing an increase in residential construction, however, industrial and commercial infrastructure are fairly prevalent. Port Dalhousie is a popular waterfront community known for its charm and pleasant setting by Lake Ontario. The area is also home to the Henley Regatta, and properties include bungalows, townhouses, condos, and detached homes. 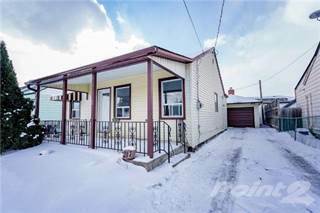 St. Catharine’s real estate market is incredibly affordable, yet the city has seen and will continue to see, annual gain and an increase in housing prices. This can be attributed to a more stable economy and job market, low mortgage rates, and a tighter resale market, and an increase in first-time buyers due to more employment opportunities. There is also an influx of newer homes on the market due to high levels of residential construction, a rising economy, and lower interest rates for buyers. Since the price gap between low-rise homes and apartment units isn’t huge, buyers are generally favouring low-rise homes which are creating a higher vacancy rate for apartments. Low mortgage rates are continuing to support first-time buyers, and St. Catharine will continue to attract people from other, less affordable areas of Canada. The city’s real estate market is expected to see continual yet steady growth, however, there may be short-term build-up of supply of apartment units, which does offer more choice for buyers. There are four boards of education in St. Catharines and the city has a number of educational institutes for all levels. Public schools are managed by the District School Board of Niagara, which manages 119 faculties, and the Niagara Catholic District School Board, which manages 61 elementary and secondary schools in the region, and 3 Catholic secondary schools. St. Catharines is home to Brock University, which specializes particularly in the winery industry and research. The city also has a number of colleges and institutions, including Niagara College, which is the only fully licensed teaching winery in the whole of Canada.